Opening hours: 7am to 10pm daily. Designed and decorated by Paula Wallace in partnership with Opera Omaha. Hosted by Rockbrook Village. The Craft fair had brought out a great appreciative audience. Someone even gave me and my parents cold bottles of water. 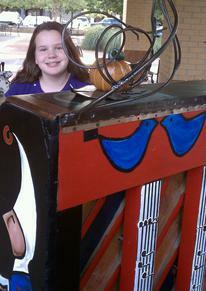 This was my favorite spot for the Play Me I'm Yours Pianos. 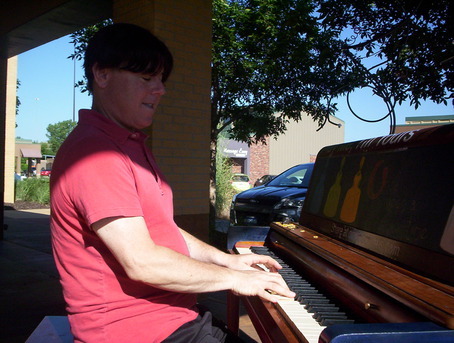 Favorite piano too! 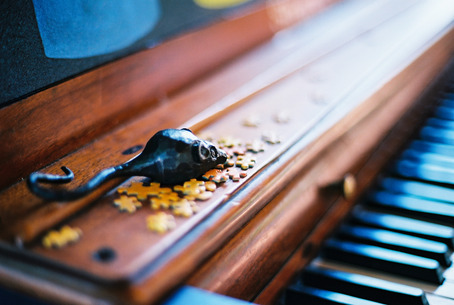 A beautiful piano... and the pianist was charmed by the little mice! Nicely shaded location. Very cool piano. Love the Cinderella theme :) and it plays nice, too! The mouse is a nice touch. Omaha Conservatory of Music instructors work on their sight reading at Opera Omaha's "Cinderella" piano. 10-year-old Brendan plays "Time to Say Goodbye." Playing Terms of Endearment theme song. 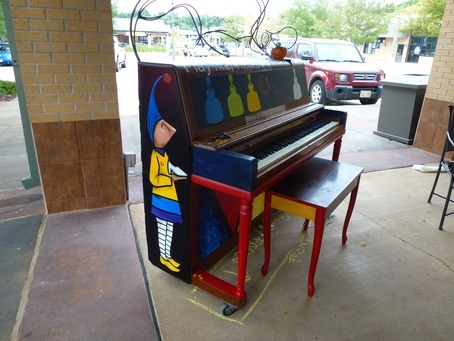 A Rockbrook Village shopkeeper christened the "Cinderella" piano on installation day. 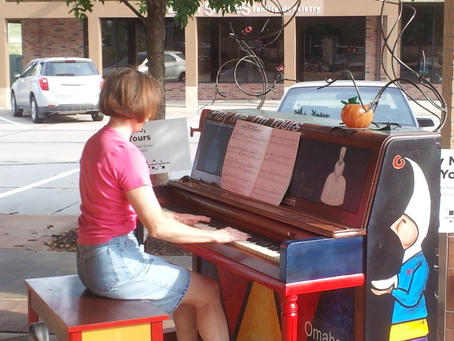 One of the local shop keepers trying out the street piano we just installed. Fourth piano installed today, we're on a roll! 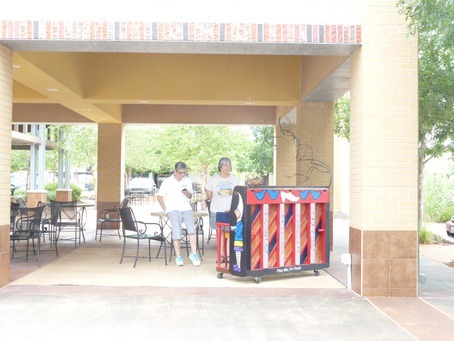 Great location under this gazebo - I hope people enjoy their lunch here with musical interludes.